Back in the USA we followed the route of another early canal. The Erie Canal, built a few years before the Welland, is an even more remarkable engineering feat. At the time it was called "Clinton's Ditch" by those who thought it a great folly of the then New York mayor who promoted it. Some ditch. At 340 miles it connected the upper Great Lakes to the Hudson River and hence to the Atlantic at New York, cutting transport times for bulk goods from months to days. 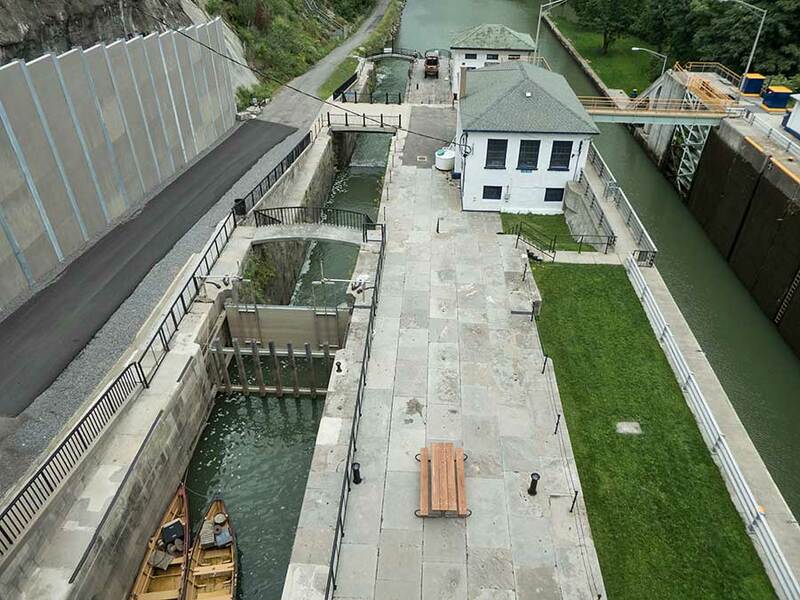 We stopped at Lockport where they built a double flight of locks (a series of 5 with a total lift of 60 feet) to conquer the Niagara escarpment. Little remains of the original locks but the local museum puts on a good show. 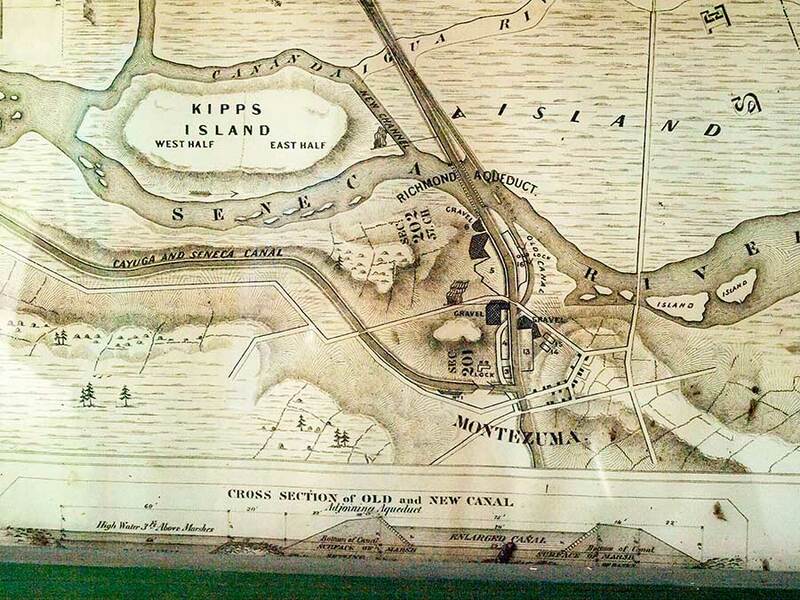 We encountered a drawing showing the canal 'crossing' the Seneca River, via the Richmond Aqueduct. 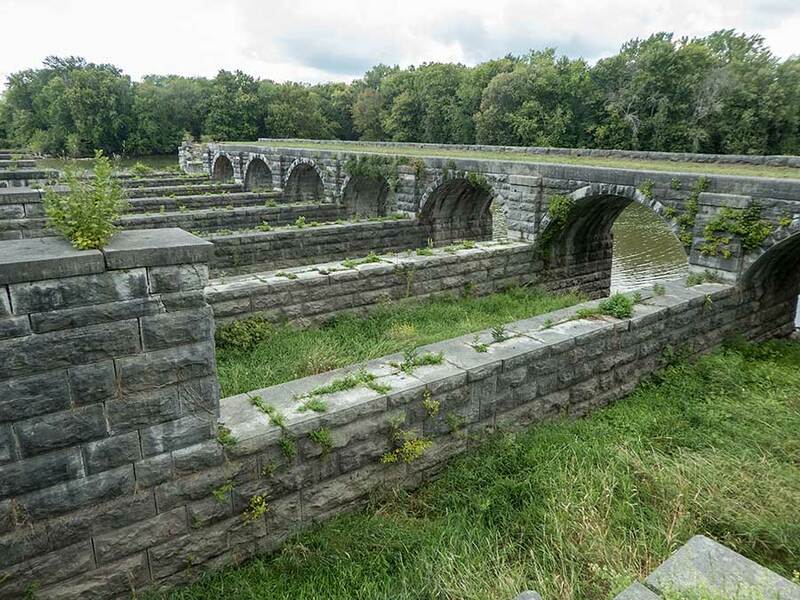 Until this was built in 1849 the canal traffic could only (directly) cross the river at high water - judicious use of the locks either side prevented the canal from discharging the whole of Lake Erie into the river! Of course we hiked to the remains. Continuing east across New York state, we found towns with the name (somebody or something)port are very common, because of the canal system. We stayed two nights in Weedsport, just north of Auburn in the Finger Lake region. 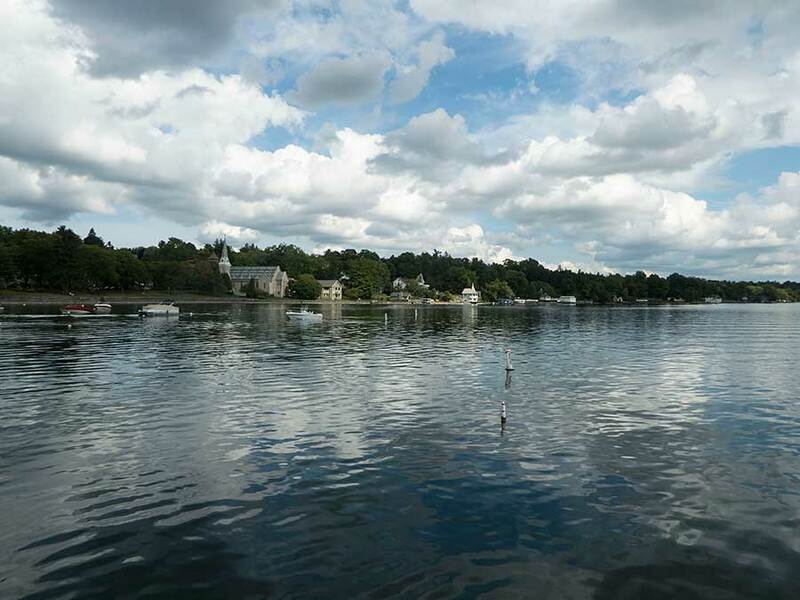 The area is very pretty and a popular holiday destination. After travelling through mostly low-lying countryside for some time we were looking forward to our next stop in the mountains. 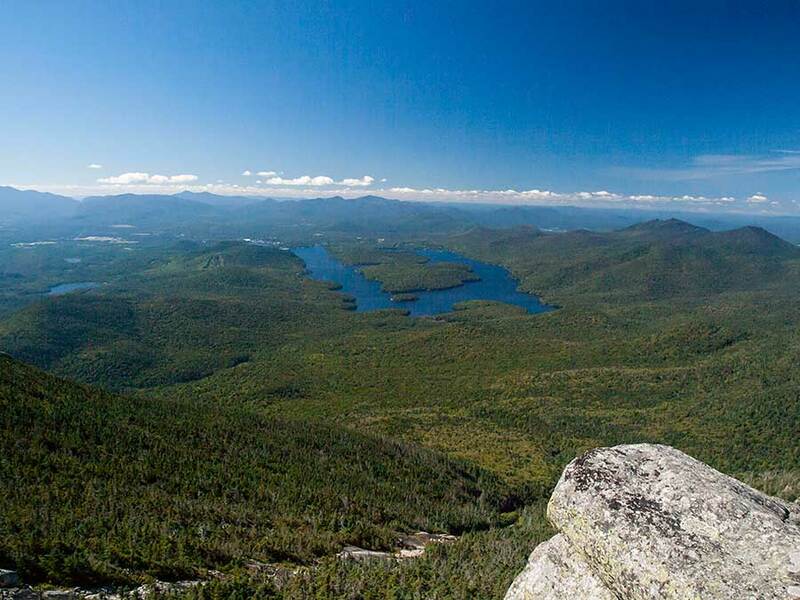 The Adirondacks cover a large area and much of it is protected but there is still quite a lot of development and, being relatively close to New York, plenty of visitors. We found a place to stay in the woods away from the crowds and enjoyed the peaceful surroundings, walking a few trails and visiting the Whifeface Mountain with views as far as Montreal. By now we were looking forward to seeing the sea again so we took the ferry across Lake Champlain and drove through Vermont and New Hampshire into Massachusetts. 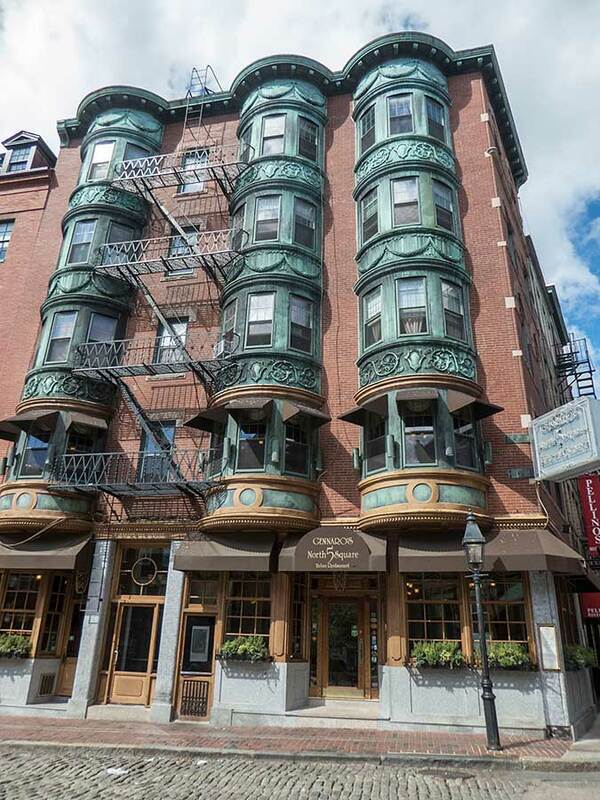 We stayed in Hanover, a town south of Boston. Our airbnb apartment was part of a typical New England clapboard house, with a large deck (verandah to us), surrounded by trees and a garden running down to the North river. Real pretty! 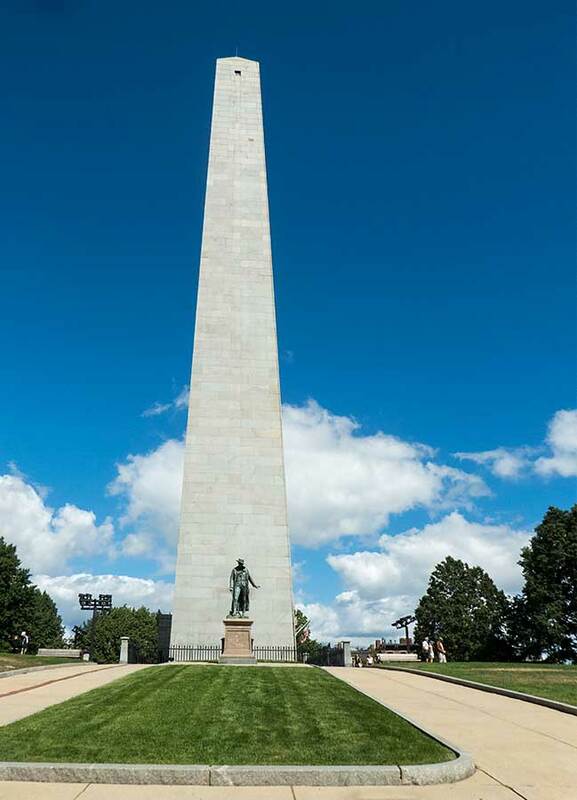 The commuter train into Boston is quite slow but once in the centre it's pleasant to walk around, to see some of the historical sites, and cross the river to climb up the Bunker Hill monument - which commemorates the first battle of the Revolution. We particularly enjoyed visiting the historic dockyard and looking over the 1797 frigate USS Constitution. 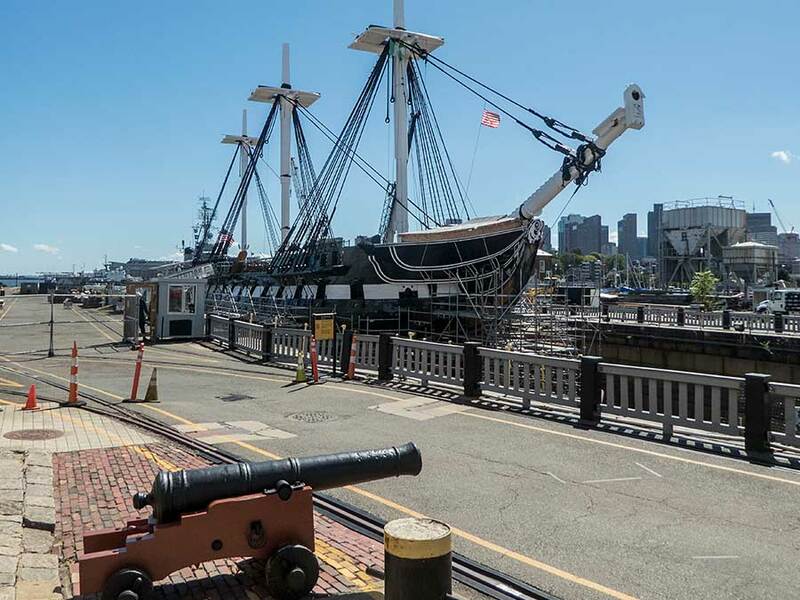 She is affectionately know as 'Old Ironsides' because her oak hull was surprisingly resistant to cannon balls - well, it is almost 2 feet thick! Still in commission, she sails and fires her cannon from time to time. The area south of Boston is also very interesting, including Plymouth, where the (now called) Pilgrims first settled in 1620. 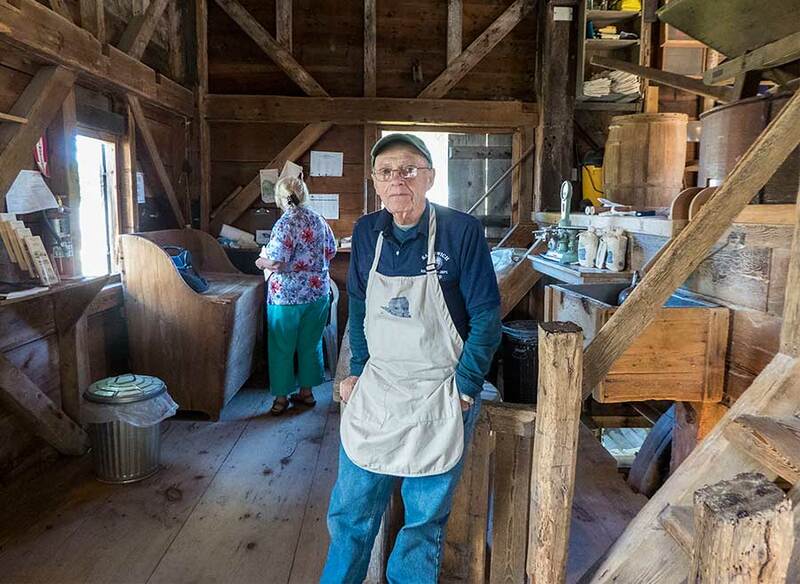 Few early buildings remain; being built of wood most have been lost to fire but we did visit a genuine and well preserved 17th century "salt box" house and a working replica grist mill run by enthusiastic volunteers. 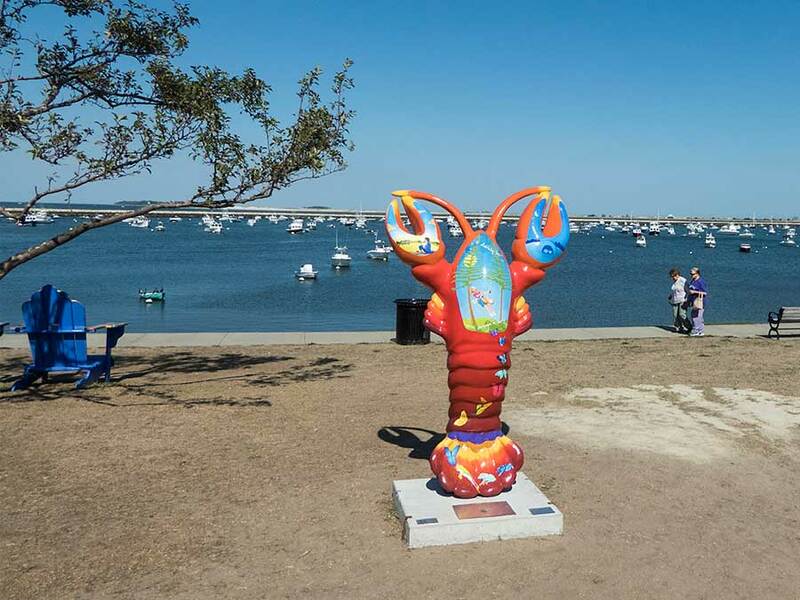 We drove down to Cape Cod and Rhode Island but found the coastline rather uninteresting and overdeveloped so, tempted by rumours of even better lobster (and blueberries), we headed north to Maine.